This afternoon at teabreak I went through the birthday lists at Wikipedia to find someone to draw for my Daily Tablet blog. Lynch's name popped out of the list. Immediately, I started planning on ways to get home and Lynch. I wanted to crawl in and walk around the house in Lost Highway where the plumes of smoke ascend the stairs like femmes fatale to a drone that doesn't seem to have come from anywhere. Or I wanted to cling to the shadows in Dorothy Vallens' apartment building which seems to be in downtown 40s Chicago but is only streets away from the hero's Norman Rockwell green lawn home from the 50s. All of that. But even more, I wanted to enter into scenes from none of those movies but in locations that they had given form. Just as the best horror movies from any era had shaped my childhood longing for houses built of rooms pregnant with threat and bade me open doors and describe wonders David Lynch's movies bestowed on experiences I loved for no apparent reason a home. The dirt and grease of a farm machine and the smell of sawdust will do it. Or passing a bent cyclone fence around a rained-on lot at night. Add something through a corridor or just in a shadow, a form almost indistinguishable from the dark around it. Nothing happens because it doesn't need to. The atmosphere, the state of flux between shocking horror and an instantly puzzling kitsch beauty is enough. That's a Lynch moment without a frame of film shot. A car's headlights briefly turn the scene into a slow camera flash. The sound of machinery a few blocks away. The overhead wires hum. Lynch is the only filmmaker known to me whose aesthetic alone can conjure walk-ins, whole scenes that never were nor will be beyond my daydreaming mind. 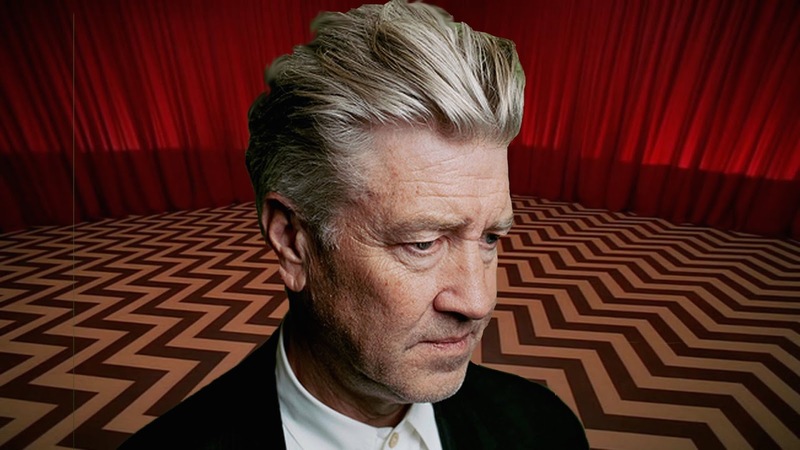 I can imagine Lynch moments in real life the way I can't concoct Peter Strickland, Dario Argento, Maya Deren or Guy Maddin. Those wonderworkers live on screen, beautifully, powerfully, but only there. A walk past a vacant lot can feel like a Lynch movie. So, this post isn't much more than that. I'll get some stuff done tonight and then turn in (it's Wednesday) but before that I'll put on one of the ones I like less on the hunch that I've never given it a proper chance, float through the colour, the dark and the bright puzzles and raise a glass to one born and still alive in this week of the deaths of imaginative people. Happy birthday, explorer man.